Rumyana Trencheva is Head of Global Partner Organization at SAP for Central and Eastern Europe, before that she successfully managed and doubled the SAP business in South-East Europe, where she was the Managing Director of the cluster of 10 countries: Bulgaria, Romania, Serbia, Bosnia and Herzegovina, Montenegro, Kosovo, Albania, Macedonia, Croatia and Slovenia. Rumyana was also managing the business of SAP in Bulgaria for more than 5 years, where she had triple digit growth y-o-y and significantly increased SAP presence on the local market. 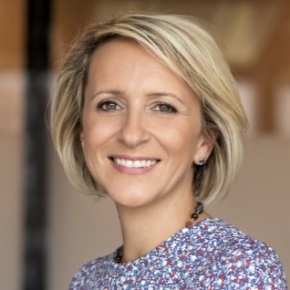 Before joining the SAP, Rumyana Trencheva has held key managerial positions in multinational companies as INDRA Sistemas S.A., Hewlett Packard, Alcatel-Lucent and Ericsson Bulgaria. She has graduated American University in Bulgaria with specializations in Applied Economics and International Relations. She holds post-graduate specializations from Duke Corporate Education (USA) and IMD (Switzerland). Rumyana is actively involve with many educational initiatives, supporting also local young entrepreneurs and start-ups within the region and at her home country, as one of the major role for her now is being member of the Board of Trustees of her alma mater - American University of Bulgaria.